Don has been in the fitness and Martial Arts industry for 40 years and is a proven product of his fitness training methods. Don believes it is very difficult for young trainers to understand how to deal with a mature person’s challenges to get in shape and stay in shape. Experience can rule over many factors, especially experienced that works. Tried and tested methods that work for persons over 50 years of age. Many people that have never exercised can be in poor health even in their 40’s. This type of client requires special handling while starting an exercises program. One of the major concerns is how to develop muscle tissue and prevent injury. This requires strengthening of the entire body at a slower pace and focusing on the type areas that obtain injury during an exercises program or just during everyday life. The principal behind personal training is to customize the workout for each client’s individual body type, challenges, and needs. 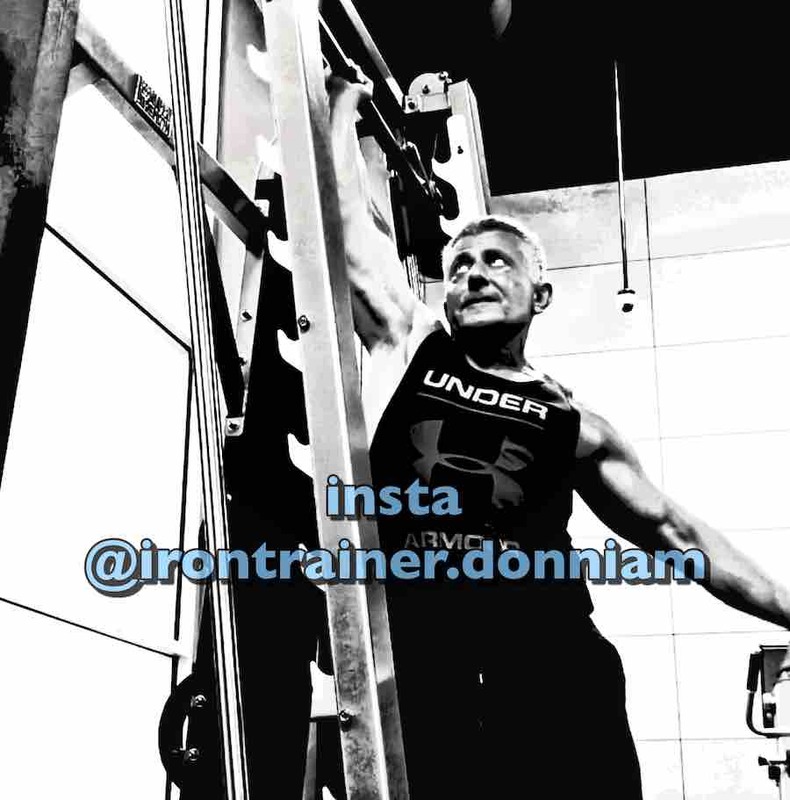 Not only does Don change a clients physique, but also strengthens their overall body for health and makes everyday life easier through strengthening areas that make it difficult to be active playing with your children, being active in sports activities and feeling better. Iron Trainer Personal Training utilizes several forms of exercise and not just strength training. There are many exercises tools that benefit people of all ages such as kettlebells, medicine balls, TRX Bands, kickboxing, flexibility training which not only do mature adults lack but also the younger generation lacks. I have yet to see personal trainers stress stretching techniques and this is due to lack of knowledge about stretching and lack of their own flexibility. Having solid flexibility helps prevent injury, strengthens the muscle, allows the muscle tissue to be more supple and makes a person feel better. If you are a mature adult (senior) and have been thinking about getting in shape and feeling like you did in your youth and probably even better, feel free to contact Don for a Free Consultation to discuss the benefits of our Fit Over 50 program and see how it will benefit you. Please feel free to phone Don direct at 702.610.3896 or fill in our Quick Quote Form below to obtain a price for training.